However, when a business takes the wrong approach to hashtags on this platform, it can very quickly discourage the audience you’re working hard to build — and can be a poor reflection of your brand, too. In this post, we’ll take an in-depth look at what hashtags are, how you can use them correctly to drive sales for your online business, and what pitfalls you should avoid. Let’s jump right in. First things first: Let’s get on the same page about what hashtags are. Hashtags, which first became popular on Twitter, are a word or a group of words that follow the # sign. Essentially, they serve as searchable keywords and keyword phrases on social media by grouping content by theme, category, topic, etc. There a few main benefits of using hashtags in this way. Not only do they make posts searchable for the audience and improve opportunities for organic discovery on the platform, but they can also make it easier for brands to keep track of user-generated content, too. Take the hashtag #SheaKardel for example. This hashtag is the store name, so not only can Instagram users browse through posts that the brand has made using this hashtag, but they can also see what other users have shared using it, too. Now that we’re on the same page about what hashtags are and the basics of how hashtags are used, let’s look at some of the common mistakes made when using them so we know what to avoid. Using hashtags seems pretty straightforward at first. Wrong. Not having the right strategy in place for using Instagram hashtags can make or break a sale. The reason: Just like any other marketing activity, your audience expects you to follow the best practices — which we’ll get to very soon. First, let’s go over some of the major mistakes to avoid. Random hashtags: When a business uses hashtags that aren’t highly relevant to the content, it can make your efforts here look spammy. Don’t use a hashtag unless it pertains directly to the brand, campaign, or content. Too many hashtags: Guess what? Your audience doesn’t want to read a bunch of different hashtags when they view your posts. I asked 40 people about their attitude to numerous hashtags on brands’ profiles, and only 26% said they didn’t care. Using too many hashtags can distract viewers from the image you’re sharing. The point of this platform is to share images, not to bombard followers with text. 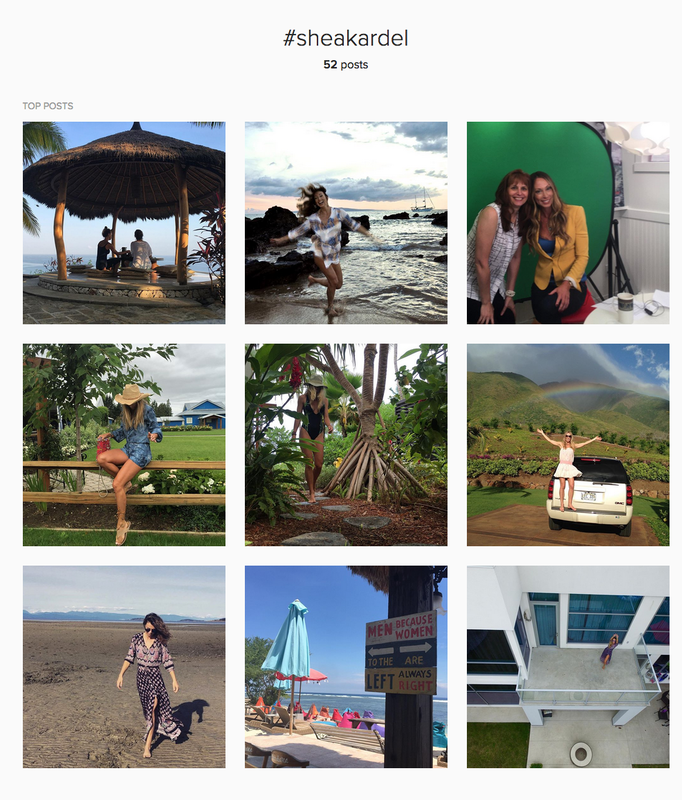 Ignoring hashtags: On the other end of the spectrum, some business owners don’t leverage Instagram hashtags at all–meaning they miss opportunities to be discovered by new audience members and potential customers. By ignoring the hashtag as a tool for your business, you’re missing out on new ways to drive revenue. Not measuring results: Without proper benchmarks in place, it’s hard for a business owner to know which hashtags are performing well vs. those which aren’t. Using a tool like Hashtracking or Hashtagify.me, you can monitor metrics on the success of different hashtags you’re using, as well as other related hashtags and their popularity over time. With these mistakes in mind, let’s next look at some of the best practices that will help you use hashtags on Instagram in the best possible way. When used correctly, hashtags can help you quickly grow your follower base on Instagram. The key is knowing how to deploy them. Think about the following tips before making your next post. Select your hashtags wisely. While you can enter up to 30 different hashtags per post, it’s a good idea to limit yourself to using only three to five of the ones that are most relevant. Less is more. Borrow from influencers. Study the influencers in your niche to find out which hashtags they’re using on a regular basis. They likely have a pulse on some of the most popular tags at the moment, so tap into their knowledge base and put the same or similar hashtags to work for your brand. Do your research. If you’re trying to launch a campaign-based hashtag, do your homework first to make sure no one else is already using the hashtag you have in mind. The last thing you want is for your campaign efforts to be tied in with something that has an entirely different meaning, as this can be confusing for your audience. These tips are a great starting place for success, but let’s also hear from some online store owners to see what their personal tips are for using hashtags in this space. Your Instagram business profile looks gorgeous, but you’re not a huge fan of hashtags, can you tell me why? To be brutally honest, we sometimes mix it up and use hashtags and on some days we go through stages where we do not use them at all. However, a few points with the hashtags that cross our minds is that when we sometimes automatically push the post through to Facebook it looks untidy and unprofessional on Facebook. Therefore we often find ourselves going back and rather commenting the hashtags on our Instagram posts. Sometimes we are also just a little bit slack at including them. Do you use branded hashtags? Yes, we do, when a customer purchases a product they get a card in the package encouraging them to post a photo and use the hashtag #onlinebikinishop we then reward them with a 10% discount coupon on their next purchase. What’s your attitude to Instagram business profiles who use a lot of hashtags? We believe that it can be effective if it is used tastefully and not overboard. Now that you’re an expert in Instagram hashtags, all that’s left to do is to put together a strategy for your own business. Think about how you’ll use them as a discovery tool and to drive sales–and always keep the mistakes in mind as what to avoid, too.